Madison Keys (born February 17, 1995) is an American professional tennis player. She achieved a career-high ranking of No. 7 in the world in October 2016, and has been consistently ranked inside the top 25 by the Women's Tennis Association (WTA) since early 2015. Keys has played in one major final at the 2017 US Open, and also competed at the 2017 WTA Finals. She has won three WTA tournaments, all at the Premier level. 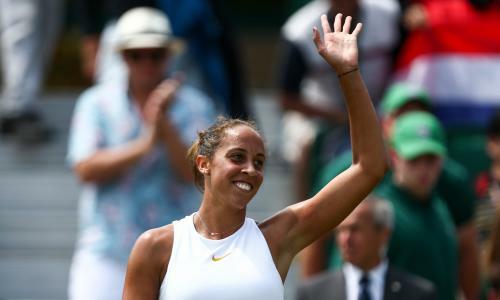 Known for having a big serve and one of the most powerful forehands in the game, Keys has used her aggressive playing style to become one of the leaders of the next generation of American tennis alongside Sloane Stephens and CoCo Vandeweghe. 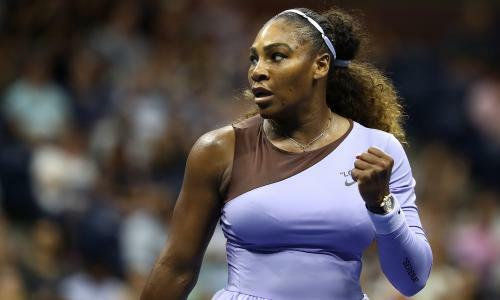 She debuted in the Top 10 of the WTA rankings in 2016, becoming the first American woman to realize this milestone since Serena Williams seventeen years earlier. When Keys and Stephens faced off against each other in the 2017 US Open final, they snapped a streak of no American women aside from the Williams sisters appearing in a Grand Slam tournament final since 2005. 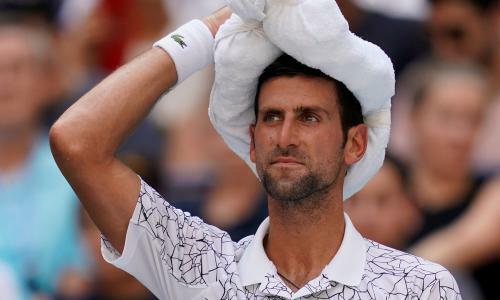 Keys has also had success on all surfaces, having reached at least the quarterfinal stage of all four Grand Slam tournaments. Keys was inspired to start playing tennis after seeing the dresses Venus Williams was wearing at Wimbledon on TV. Originally from the Quad Cities in Illinois, she moved to Florida to train at the Evert Tennis Academy. Her coaches regarded her as a prodigy and believed she had a good chance to win a major title. Keys turned pro on her 14th birthday and quickly showed her potential by becoming one of the youngest players to win a WTA Tour level match a few months later. She also won a World TeamTennis exhibition set against then world No. 2 Serena Williams later that year. Keys first cracked the top 100 of the WTA rankings in 2013 at the age of 17. She then had her first big breakthrough at a major in early 2015 when she reached the semifinals of the Australian Open as a teenager. #AD You guys ready to see what I serve up next with @ACUVUE? Tomorrow: #GoSee what happens when I #SeeItThrough with ACUVUE® Brand Contact Lenses. Link in @ACUVUE bio for important safety info. Madison Keys is at Sunset Station. Beautiful Girls !!!! Good luck team USA !! Yay! Good luck ladies, I'll b watching. Congrats on the Volvo car classic. It was great meeting you and learning more of your foundation at dinner. Looking forward to seeing you next year in Charleston. Happy Easter and go USA! San Antonio is a great town! I hope you get to see some sites. Steak and BBQ (meaning brisket!) is great throughout Texas...but Tex-Mex is DIVINE in SA!! Mi Tierra at El Mercado. River Walk is a tourist trap, good for photos. And of course, you haven't been to SA unless you've been to the Alamo! Go get a pic with the DPS Troopers in the 10-gallon hats--authentic Texas! Go USA! #IBelieveThatWeWillWin!! Madison Keys shared a post. Congratulations love & god bless. Congrats ! Love & God bless ! Good for you, you deserve it. Madison Keys is at USTA National Campus. We’re driving up from Houston to see you play FedCup in San Antonio Easter weekend. My 9 year old daughter is soooo excited!! Shape on shots and backhand. Recognize superior talent and athleticism. Heart and deep dig. Competition during match. KEYS!! Great win. You're the only reason I watch tennis. Stay classy and keep up the great work! Good your backhand, I think your state of form is due to an improvement in the speed of movement. Vai Madyson e credi nelle tue potenzialità che sono enormi! Backhand looks a bit like mine Eddiel! Love to come see your next match. Looks good. We just got dumped on...snow.... Good luck during the clay season. Stay fierce in all that you do! I'll be there on May 24th.I hope to see you. Madison Keys is feeling happy. Congratulations Madison. So very happy for you. Keep believing in yourself because we believe in you!!! Congratulations so happy for you!! Congratulations!! You have always been a crowd favorite not only for your game but your attitude! Keep the good health and positive game going for more wins! You deserve it, Madison dear! Love & God bless ! You look great. Nice to see your new coach is suiting you. Thank you for inspiring. Lovely to see you enjoying your career and the game. Congratulations! Love you, Madison Keys!! You’re amazing, and an inspiration! Onward! Congratulations Madison! Great work and keep it going! You were great on and off the court. Hope you have continued success this year. You really inspire me to play all out instead of conservatively. You have it all Madison!!! Just stop the not so helpful messages in your head, listen to your coach and no one will beat you on the way!!!! You always had all the skills and now with your new Coach, we see what you can do with a positive mindset!!! I was so honored on Friday night when the Volvo Car Open chose me for the “Player Who Makes a Difference” award. The tournament also gave the most amazing donation of $10,000 to FearlesslyGirl! I know their donation will help us reach so many more young women and spread our positive message. Thank you SO much to Bob and Eleanor and the entire tournament. Congratulations I’m happy for you! You make the QC proud! Congratulations! You are a wonderful role model for young girls! You are amazing. We were so happy to be there for your award. So proud of all you do. You are a beautiful young lady, awesome tennis player and a phenomenal role model. Thank you Madison. Great tennis player and a role model. Thank you, Maddie. You are a great young person, doing great things for others. Congratulations Maddie. You deserve it. Congratulations Maddie.You are making a difference in the lives of many young girls who look at you as a role model. You totally rock Madison! Congratulations! Making the Quad Cities proud!